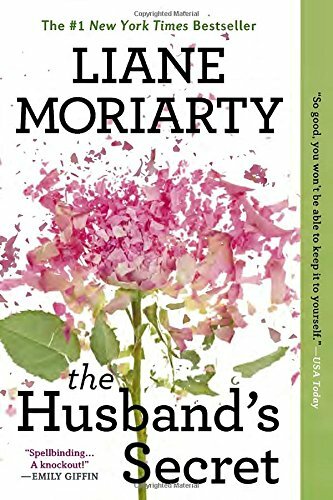 In true Liane Moriarty style, this book was an engaging yet easy read. Set in Sydney, in a comfortable middle-class suburb, it revolves around the tight-knit community of families who attend the local Catholic primary school. At the heart of the novel is the discovery of a hidden letter by one of the local mothers, Celia Fitzpatrick, written by her husband, which contains his deepest, darkest secret. Yet here's the catch - it's not intended to be read until after his death. Imagine finding that letter - would you open it? This book was rated a mixture of 3s and 4s by our book group - the general consensus being that it was a gripping read, hard to put down, yet it lacked some substance. We had an original book club member (who now lives overseas with her family) return home for the Christmas holidays. This was her book choice. We wanted a discussion venue that was new, fun and typically Melbourne for her return guest appearance. Gazi was the obvious choice, taking all our book clubbers into the CBD for an end-of-year book club celebration with a Greek street food feast. Gazi is owned by celebrity chef George Colombaris, the King of Greek cuisine in Melbourne. The set menu was recommended for our large group, and it didn't disappoint. The Greek favourites were all there: saganaki, dips, fish, souvlakia with chips, feta and oregano. The famous Greek chocolate filled donuts loukoumades were a sensational finish. We got into the true spirit and chose Ouzo as our beverage accompaniment…Let's just say it's an acquired taste! It was a fun night and a great way to end the year... although perhaps a bit too noisy for a proper book discussion.